The new Patagonia R3 Hooded Wetsuit is a major improvement over previous years. Patagonia has nailed it with the new Yulex material, bringing us the most eco friendly wetsuit currently offered. 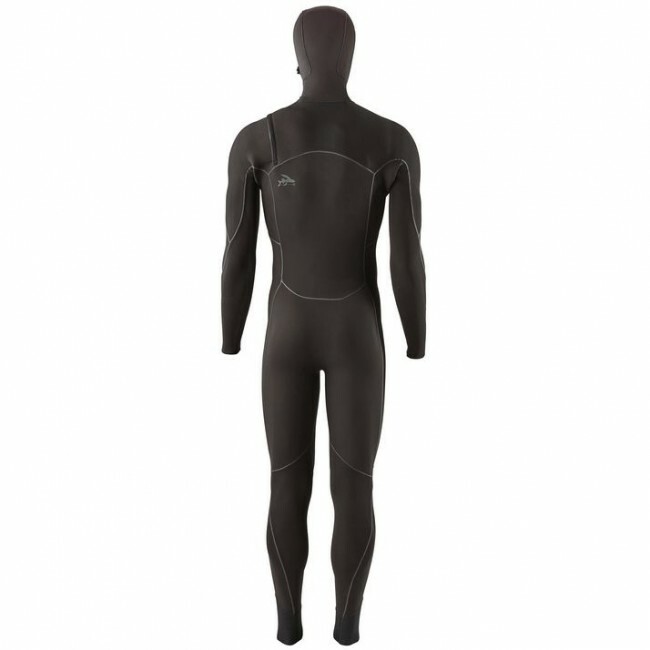 Add to that the durability and quality you've come to expect from Patagonia wetsuits and you have one of the best cold water suits on the market. If you're looking for a suit for water temps from 48–55° F you'll be covered with the R3's 4.5/3.5 thickness. The hood will keep you toasty warm and the chest zip entry will prevent excess water from entering the suit. This suit has been tested and approved by our staff and customers in the Northwest, Northeast, as well as the great lakes, and the quality build will outlast most wetsuits, without sacrificing performance. A stretchy, neoprene-free wetsuit, the Patagonia R3 Yulex Front-Zip Hooded Full Suit is made of 85% Yulex natural rubber/15% synthetic rubber by polymer content; the natural rubber is derived from sources that are Forest Stewardship Council certified by the Rainforest Alliance. Made in a Fair Trade Certified facility. 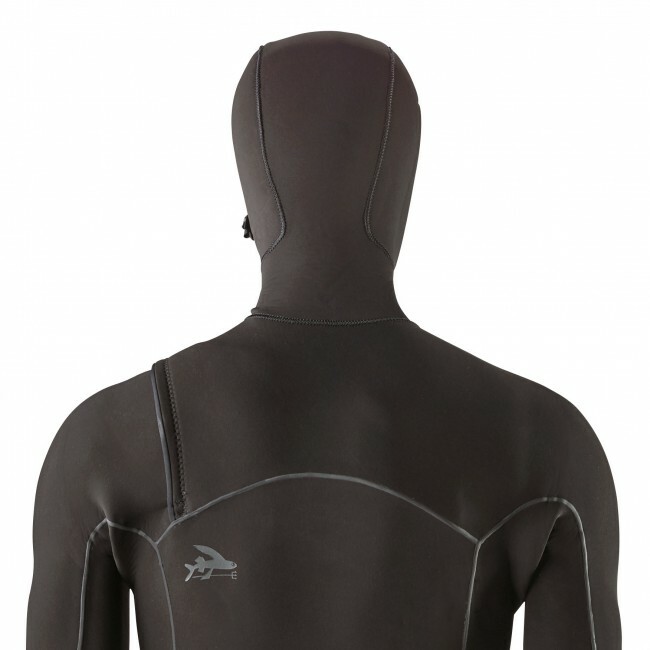 Suggested water temperatures: 48–55° F/9–13° C.
The Patagonia R3 Yulex Front-Zip Hooded Wetsuit is now made in a Fair Trade Certified facility. These neoprene-free Yulex wetsuits are made of 85% natural rubber/15% synthetic rubber by polymer content. 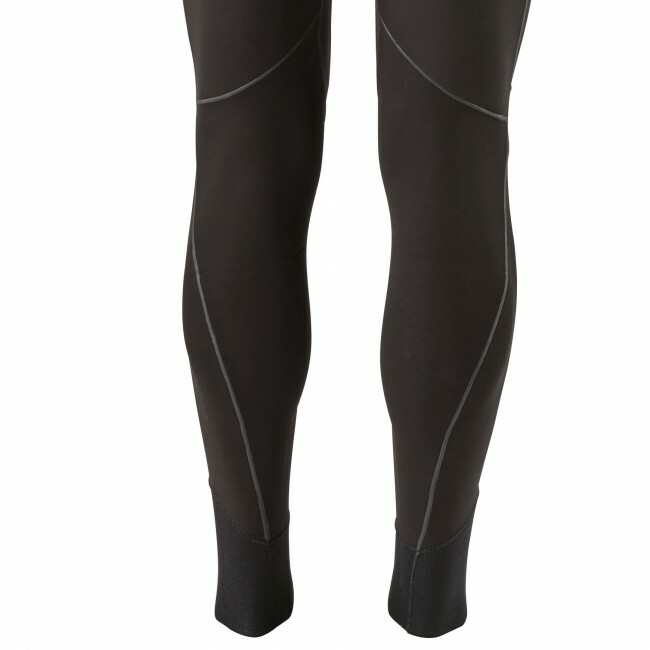 Replacing a petroleum-based material with a plant-based one, they offer the same warmth and performance attributes as conventional stretch neoprene while reducing CO2 emissions by up to ~80% in the manufacturing process. Derived from sources that are Forest Stewardship Council certified by the Rainforest Alliance, natural rubber is blended with chlorine-free synthetic rubber to increase ozone- and UV -resistance and meets rigorous standards for strength, stretch and durability. With new patterning for maximum flexibility and improved fit, the R3 Yulex Front-Zip Hooded Full Suit is 4.5mm in the torso and thighs (hood: 3mm), lined with high-stretch, fast-drying 95% polyester (51% recycled) /5% spandex inverted microgrid; 3.5mm in the arms and legs, lined with high-stretch, fast-drying 100% recycled polyester jersey; the face fabric is 85% recycled polyester/15% spandex. The face fabric and lining are now solution dyed—using 86% less water than conventional dyeing—and are laminated with water-based AquaA glue that’s free from harmful volatile organic compounds (VOCs). The floating front-zip features a corrosion-proof zipper and asymmetrical flap for better seal; the Salmi zipper is fully replaceable to extend the suit’s lifespan. 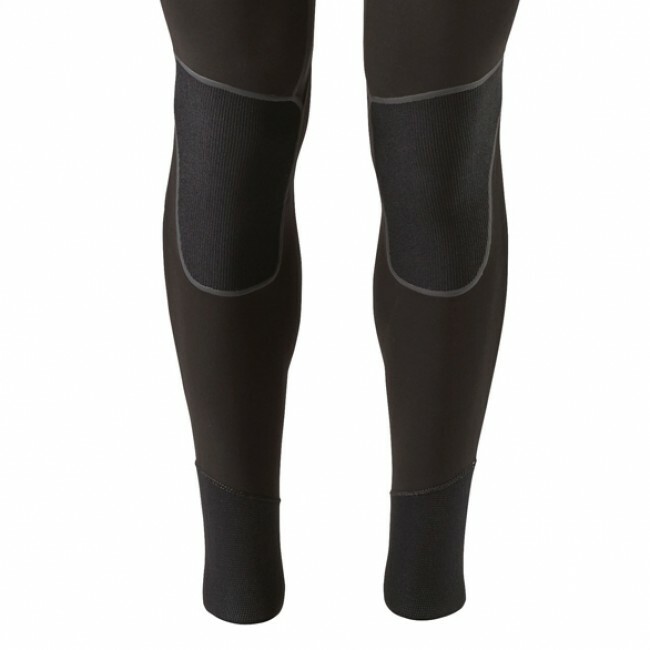 Supratex kneepads and ankle cuffs provide excellent abrasion resistance and increased durability. 100% external seam sealing; all seams are triple glued and internally taped. Adjustable hood opening has cord lock for custom fit. Easy-access key loop included. Suggested water temperatures: 48–55° F/9–13° C.
I'm a weekend warrior. Been using ONeill for about 10 years and have gone thru 4 Mutants 5/4. So was a bit skeptical about changing brands, specially since Patagonia is more expensive and a bit thinner. But now I've used my R3 about 10 times and I'm very happy with my choice. Even though it's initially tougher to get in/out, I feel it fits better, have more flexibility for surfing and SUP, Less water gets in even at 10 feet wipeouts. I was very happy with my Mutants but the 1% for the planet and sustainable wetsuit fabrication tilted the balance towards Patagonia. 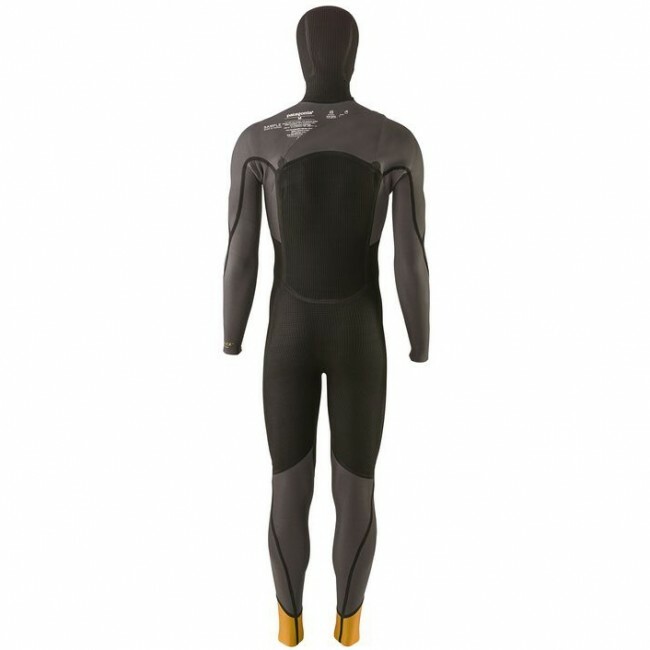 I find this wetsuit is a bit heavier and slightly more difficult to get in and out of, but the warmth, stretchiness, and build quality are excellent. By far the warmest suit I've ever had.